HBCU Money’s editor-in-chief, William A. 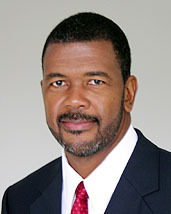 Foster, IV, sits down with the Foundation of the University of Virgin Islands’ executive director Dr. Haldane Davies. They discuss the importance of HBCU endowments, UVI’s phenomenal leap into the HBCU Money’s 2014 top ten HBCU endowments list, and Dr. Davies take on the economy’s impact on college endowments. Dr. Davies, thank you for taking the time with us. Let us start with telling us a bit about yourself and how you came into your current position? Thank you, Bill. I am certainly honored to have the opportunity to speak with you today and to share with your audience what the Foundation for the University of the Virgin Islands and indeed the University of the Virgin Islands has been doing over the last fifty three years of its existence. My name is Haldane Davies and I am from the Virgin Islands. I hold a Doctor of Philosophy degree in Educational Administration with a focus on higher education from Andrews University and have been at the University of the Virgin Islands for the past eight years. In addition to my current position of Vice President for Business Development and Innovation, I also serve as the Executive Director of the Foundation for the University of the Virgin Islands – a 501 (c) 3 organization, a position that I have held for the past four years. Many HBCUers do not understand the way an endowment operates. Tell our audience more about the process. When a donation to the University of Virgin Islands is given, how is it invested and how are those decisions made? Great question. As you know, Bill, the process of fundraising is one that occurs over time after periods of relationship building and donor cultivation. Donors contribute to a cause that matches the institution’s value proposition to the donor’s vision and purpose for which they intend the gift to be used. Therefore, when a gift is made to the University or to the Foundation on behalf of the University, that gift is invested in accordance with the donor’s gift agreement and the applicable clauses of the Foundation’s Investment Policy Statement under the guidance of the Finance and Investment Committee and the full Board. The funds are usually distributed across an approved asset allocation planning model with investments in equities, bonds, and other alternative asset classes, with provisions made for hedging by including a mix of other investment options along a continuum of conservative and aggressive distributions of the funds to be invested. The Finance and Investment Committee would be mindful to ensure that great care is taken to maintain an adequate spending ratio in support of the University while making every effort to maintain the goal of achieving intergenerational equity by not spending too much or too little in any given year thereby maintaining the real spending power of the endowment for future generations. 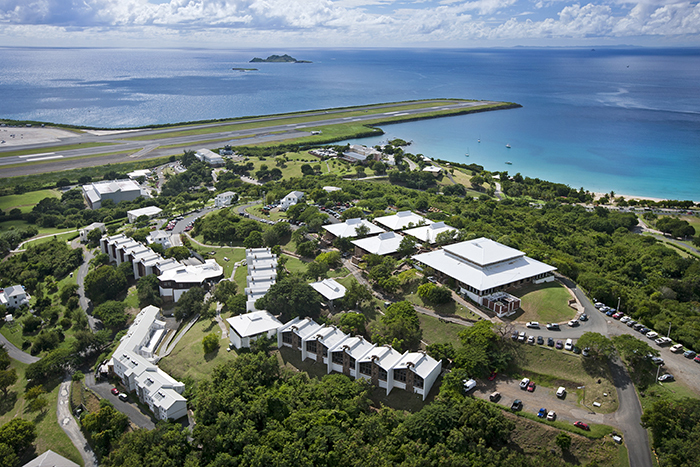 The University of Virgin Islands this year cracked our HBCU Money™ top ten HBCU endowments, largely attributed to the university’s impressive 48.5 percent increase in investments. What do you attribute to the endowment’s success over the past twelve months? I must say that we are extremely honored to be among the top ten HBCU endowments in terms of investment asset I would be the first to indicate however, that while the difference between total investment assets from 2013 to 2014 jumped significantly by an impressive 48.5 percent, the actual investment return for the same period was 19.2 percent, which exceeded investment returns among all HBCUs that participated in the NACUBO Commonfund Study of Endowments. This is indeed a great accomplishment of which we are justly proud. We are appreciative of the outstanding work of our investment advisors/managers who exercised prudent judgement and responsible decision making by selecting outstanding investment managers and investment options that yielded the kind of returns that we benefited from last year. It was a good year for the U.S. equity market, in particular. I am also mindful to note the fiduciary oversight of the Finance and Investment Committee and the Board in working closely with our advisors/managers and exercising patience by maintaining a “we are in it for the long haul” attitude toward investing. In terms of investment strategy, does UVI primarily internally manage its endowment; use external managers, or a mixture of both? UVI through the Foundation primarily uses external managers who are guided by the organization’s Investment Policy Statement, and who have the flexibility within reasonable limits to make timely investment decisions in the overall interest of the Foundation and the University. We vet and monitor our managers well and require regular reports not only on the performance of the funds but also on their investment point of view and scenario projections based on current and historical market data. The S&P 500 over the past year had returns of 13.4 percent. The benchmark by which we measure endowment return success. This past year only six out of the top ten HBCU endowments outperformed the market, while PWI/HWCU counterparts had nine out of the top ten outperform. What do you attribute this disparity too? That is a very good question and the answer may lie in a number of places. Generally, although size may not always be a determining factor in the level of endowment returns, it certainly plays a significant role especially in keeping with the asset allocation model that may be right for the institution at the time. PWIs generally are much more heavily endowed than HBCUs with higher percentages spread across a wider cross section of illiquid options, thus lessening risk and increasing yield over the long term. Secondly, some endowments are very conservative in their asset allocation models, which may be based on the risk averseness of the Investment Committee. Additionally, we need to do a better job in developing our asset allocation models and using the best managers with track records of stable yet outstanding returns for their clients. We need to study the markets well, increase our knowledge by engaging in professional development activities for our boards, and holding our directors and staff more accountable for the performance of our organizations. Endowments grow and perform well through strategic investment growth and contributions to the funds. Capital circulation is a big principle we believe in here at HBCU Money. Does UVI have any relationships with African Diaspora owned investment firms or financial institutions in general? If so, was it a conscious decision and why? If not, is there any plan in the future to have a relationship? Although most of our investments are within the US market which includes a mix of investment firms, we certainly participate in private equity investments globally including those in emerging and frontier markets. While I am not at this time prepared to speak in detail on FUVI’s investments, I can say that every effort is made to invest in opportunities and places where our investments stand a very good chance of yielding good returns. We pay close attention to the global economic outlook and point of view and make decisions that would best serve the interest of our organizations – UVI and FUVI. We certainly support investments with African Diaspora investment firms as part of our overall investment strategy. Many investors seem to believe the Federal Reserve will be raising interest rates this year. What impact will this have on college & university endowments? With every action, there is usually a corresponding reaction, however, our view is long term and we are not unduly alarmed with the current trend of market volatility. Whether the Feds raise interest rates in the summer or the fall, we expect the markets to respond but settle in a favorable place over time. After all, rising interest rates may be viewed as a sign of a strengthening economy. Market corrections are needed from time to time; however, we are not fazed by daily adjustments but rather encouraged by long term performance. Private equity and hedge funds seems to have had a major role in college and university endowments over the past decade. These are very capital intensive and illiquid investment classes, which seem to make it tougher for HBCUs with smaller capitalized endowments to engage. Is UVI making investments in either of these assets classes? If so, what percentage of the school’s endowment portfolio is in them? If not, do you foresee investments in these classes in the future? We currently have a mix of hedge funds, distressed debt, and private equity investments in our portfolio amounting to about 10 percent of the Foundation’s assets. We are also in the process of adding some core real estate investments (about 5 percent) and making allocation adjustments to help create an optimal balance in liquidity and intergenerational equity. With some limitations, opportunities for smaller endowments to invest in illiquid and alternative strategies such as hedge funds, venture capital and private equity are readily available in the marketplace and offered by advisors/managers who have great expertise and track records in this important diversifying space. For those interested in one day becoming the head of a university endowment what advice would you give them? Become familiar with endowments and foundations and how they work by attending endowment/investment conferences, workshops and institutes to the extent possible. Speak frequently with your investment managers engaging them in broader board and committee educational meetings focusing on the successful tenets of governance, oversight and endowment management. And examine their investment outlook in tandem with market trends and historical performance. Read, familiarize yourself with the market jargon, be courageous, and engage in strategic and informed decision making. Thank you for your time; in parting do you have anything you would like to add? HBCUs and their universities and endowments have a very important role to play in providing and supporting educational opportunities for many who may otherwise not have the opportunity to pursue higher education. We are responding to a high calling – a calling that is beyond any of us to touch lives, fulfill dreams, ignite passion, create opportunities, improve the quality of life, advance knowledge, and increase wisdom. HBCU endowments and foundations have the capacity to be wellsprings of creative opportunity and beacons of hope for many in a shaded world. Let us commit to doing our best for humankind today and for generations yet unborn as we help to make this world a better place for all. Thank you so much, Bill for the opportunity to share with your audience. I look forward to talking with you again. This entry was posted in Philanthropy and tagged haldane davies, hbcu endowments, university of virgin islands. Bookmark the permalink. I really enjoyed reading this conversation. Put a new light on what our institutions have the ability to do.